I understand that you probably know very little about diabetes. Before March 17, 2000 I was just as ignorant. Not knowing is okay. There are many things that I don’t know about but I am always willing to learn. I wish that more of you were as well. If you open your mind and learn, I am hoping that you will also begin to have more empathy and feel less inclined to point blame at the victims. For some reason, a lot of the general public thinks that it is okay to blame people with diabetes for their condition. It doesn’t matter if they are 2 or 92, many people feel that if someone has diabetes that they must have done something to make it happen. In making that assumption you are hurting people like me, my child and many others who did nothing more than be born with genes that led their bodies to attack themselves. You would think that after all of these years that I would have a tough skin–I do. I am used to well-meaning people passing judgments on food that my child can or cannot eat. I am used to people telling me that they understand my worries because their grandmother developed diabetes last year at age 75. I am used to people saying that my child must have it really bad because he uses an insulin pump. I have learned to calmly tell those kind health care providers who ask if he will outgrow it that, no, he can’t. He can’t grow himself a new lung and he won’t grow a functioning pancreas any time soon but thanks for asking! I have learned to smile when I watch a TV show that suggests that they can track a missing person through the GPS on their insulin pump. These are silly things that just get filed under “Things you deal with when you live with diabetes”. John. Jane. 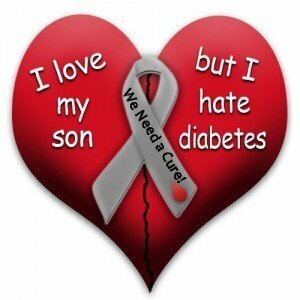 I know that I did not cause my son’s diabetes. He never had chocolate bars or was force-fed jube jubes as a tot. He had breast milk and very few processed foods but that was not enough to protect him from developing diabetes. His body still failed him. It attacked himself leaving him terribly sick and almost killing him. My genes may have played a role in this attack. 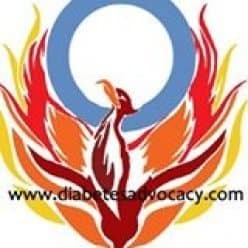 I have no family history of Type 1 diabetes and very little of Type 2 but I will accept that somewhere in my genetic makeup, there may have been some code that when passed onto his tiny body, created the havoc that led to his diagnosis. My ignorance of illnesses like diabetes and my faith in the medical community delayed my son getting treatment much later than he should have. I will accept that. I believed the ER doctor who examined him and told me that he just had the flu. That misdiagnosis almost cost my son his life but I will take the blame for listening to the doctor, even for a short while. Download the signs of diabetes here. As you can see, I don’t need you to add to my guilt with nonsense. There are enough real contributors to keep me feeling horrible but they don’t. Keeping my son alive and healthy for the past 15 years has been a greater priority. It has been more important to learn about his disease, get him the best medical treatment, and teach him how to take care of himself than wallow in guilt and blame. So John and Jane, what I am asking from you is for a bit more understanding. You don’t have to know what my life has been like. You don’t have to know what my son deals with every minute of every day. If you would like to learn more, please ask me and I will give you as much information as you want. What you do can for me, however, is to think before you speak. You can think before you laugh at jokes about people getting diabetes. You can think before you spread false information. Please do not use scare tactics and tell your children that if they have one more candy out of the dish that they will get diabetes. This is no more likely than your eight-year-old dropping dead of a heart attack because they had one more french fry. You are right to teach your child the importance of healthy eating. 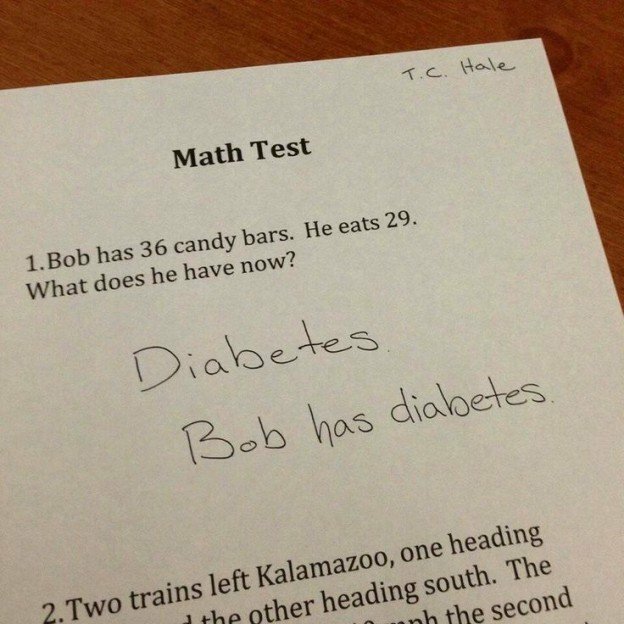 You are right to tell them how important eating balanced meals and staying active are but don’t make them think that the child in their classroom is responsible for her diabetes because she ate too much candy. It isn’t fair to your child who may not want to be friends with someone who has such poor willpower, and it is not fair to that student who has enough going on in her body to deal with and could really use the support of friends. Please Mr. and Mrs. Public, do not tell your friends about people getting diabetes because they are fat, lazy or because their parents didn’t care enough to stop them from eating junk. You may be sitting in a room with a parent whose child has diabetes. That parent has struggled to make sure that their son or daughter has led a “normal” life while dealing with 3am low blood glucose levels that could kill their child. That parent may have spent the past week worried about how their son would handle the pressures of graduation ceremonies and after parties while managing their diabetes care on their own. John and Jane Public, I know that you cannot begin to understand what my life has been like for the past 15 years. I know that you have no idea as to what my son deals with each day. I don’t know what its like to deal with a child with asthma or Crohn’s disease but I would never blame the child or the parents for the disease. I would listen and learn. I would empathize and offer the little support that I could. I don’t expect you to learn about diabetes. I am not asking you to. I will ignore most of your ignorant comments but if you let me, I will try to educate you a bit as well. I know too much about diabetes. I have spent the last 15 years immersed in its world. Yes it hurts but it keeps him alive. Yes, you could do it if you had to and hopefully you will never have to. Yes, you should stay away from that junk food and exercise more. It may or may not stop you from developing diabetes but either way, you will feel better. Yes, he does have the bad kind of diabetes because there is no good kind. Yes, its okay to be thankful that you don’t have to experience any of this….I really wish my family didn’t have to either but we do so please, think before you speak, and maybe, just maybe, take the time to learn about this disease that is impacting more and more families every day. A tired mother of a young man with Type 1 diabetes. People used to ask me if i used to be over wieght. I would say no. The look on their face was of suprise. People like to judge things they know nothing about. That was a very good story and a lot of parents and the ones who have diabetes share that very same story.